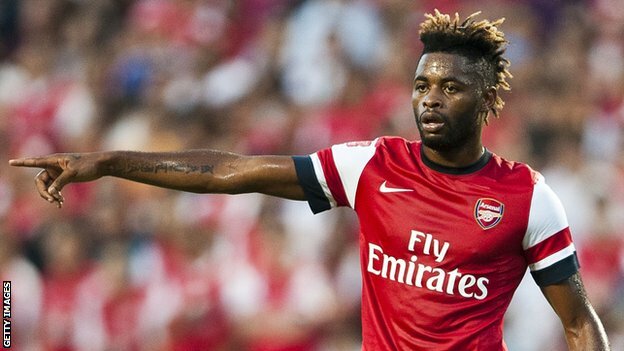 Arsenal Manager, Arsene Wenger has admitted that Alex Song could follow Robin van Persie out of the Emirates Stadium. Barcelona are closing in on a a deal to sign the Cameroon midfielder. When asked if the 24-year-old could leave and others come in, Wenger said The decision (on Song) is not made and that No (bid has been made). He said further that,'Midfield is a different area because we have nine or 10 midfielders of top-class quality. 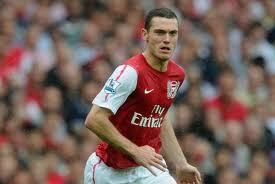 Wenger confirmed central defender Thomas Vermaelen would be the club's new captain following Van Persie's departure. Van Persie is the latest of Wenger's key men to move on, following last summer's departures of Cesc Fabregas and Samir Nasri. Wenger believes the summer additions of Olivier Giroud, Lukas Podolski and Spain midfielder Cazorla will go someway to offset Van Persie's departure. Arsenal are reportedly interested in Real Madrid midfielder Nuri Sahin and when asked about the possibility of more signings, plus the departure of Song, Wenger said: "Both can happen." Song is one of Wenger's longest-serving players, having joined Arsenal as a 17-year-old from French side Bastia in 2005. He initially joined on a one-year loan deal, with a £2.75m fee agreed to make the move permanent. Song went on to make over 200 appearances for Arsenal, including 34 in the Premier League last season. His current contract is due to expire in the summer of 2014.